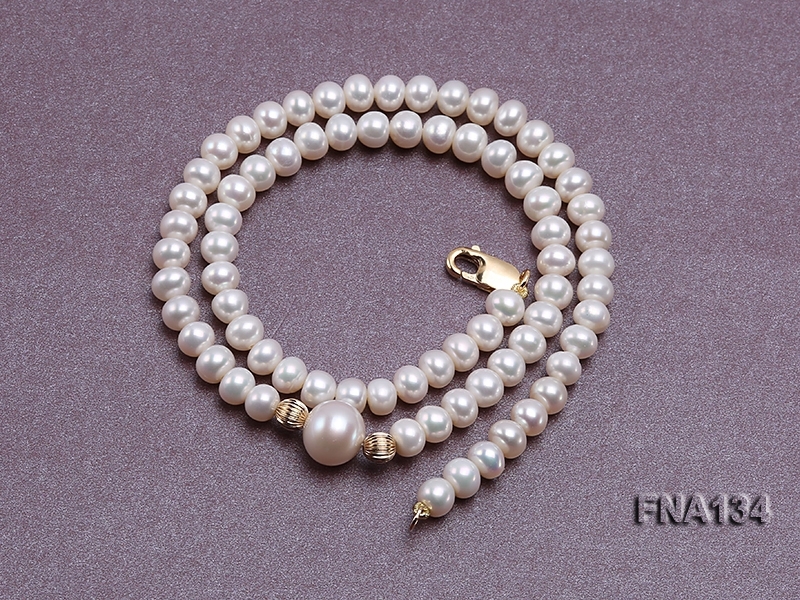 Pretty single-strand freshwater pearl necklace made of 6×6.5mm white oval freshwater cultured pearls with a 10 mm round white freshwater pearl and two 14k gold beads. 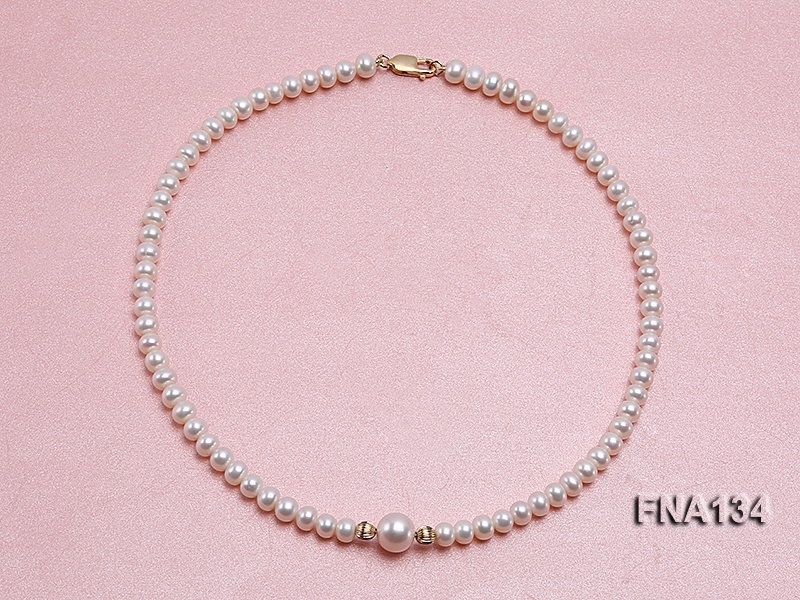 The necklace has a length of 16.5 inches and is closed with a 14k gold lobster clasp. 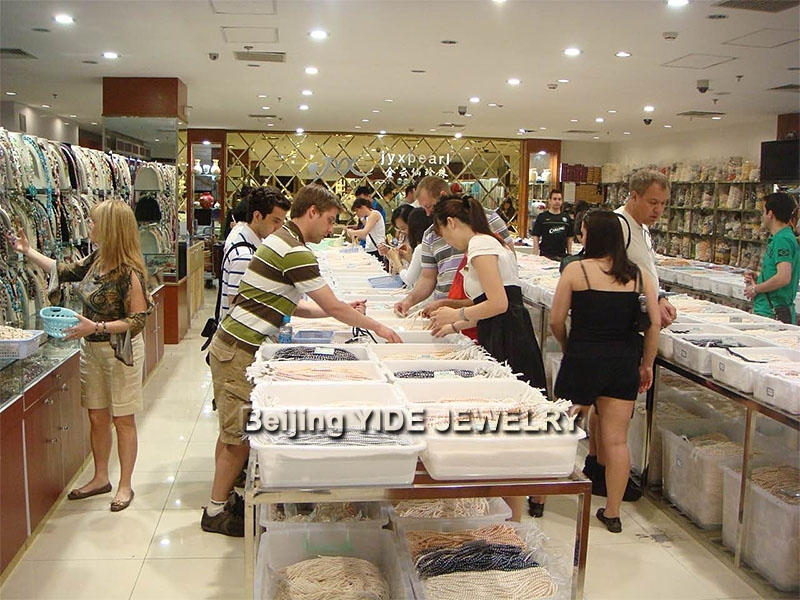 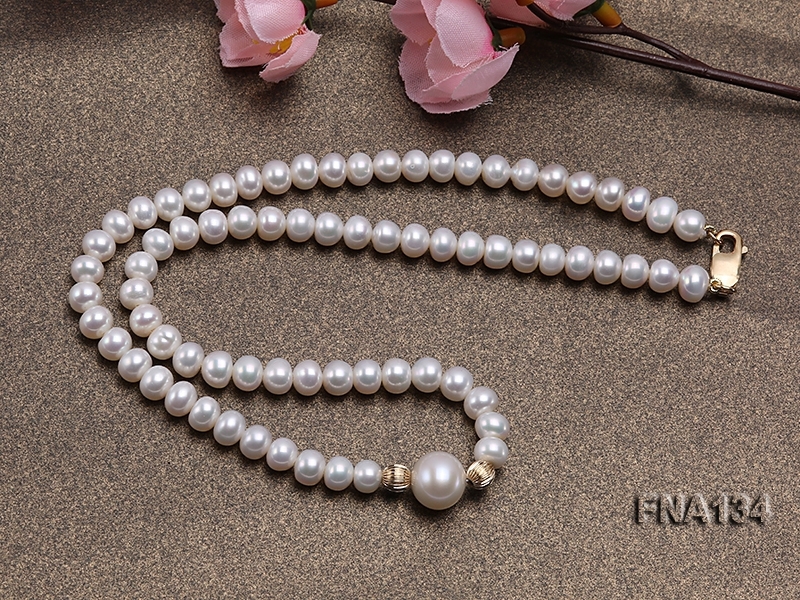 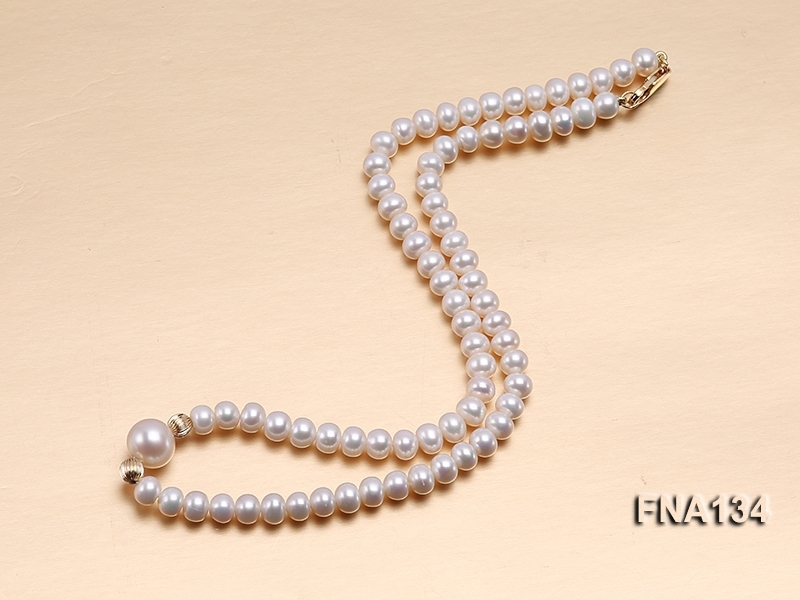 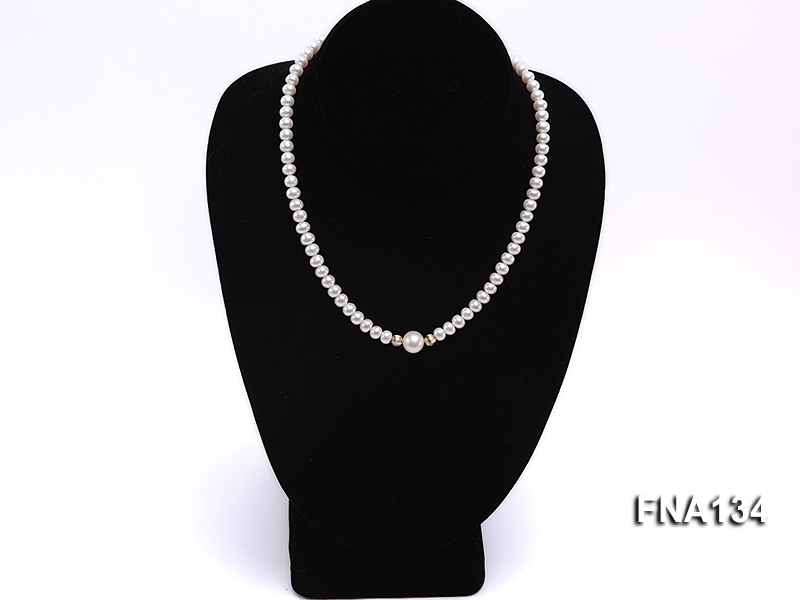 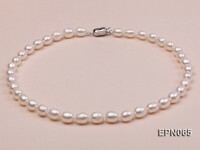 This necklace is professionally hand-knotted between each two pearls, which makes the necklace look nicer and protects the pearls from rubbing each other. 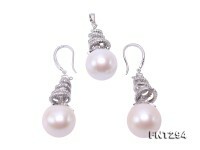 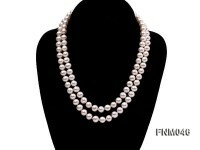 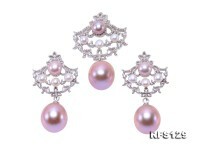 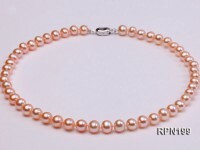 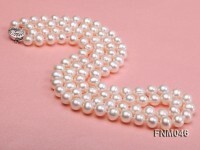 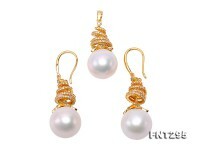 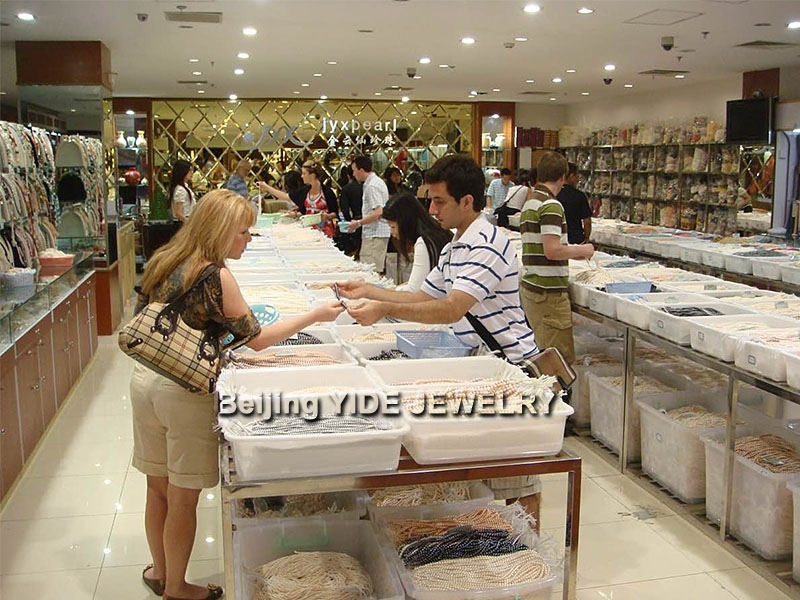 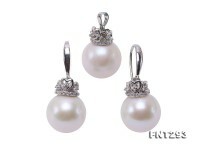 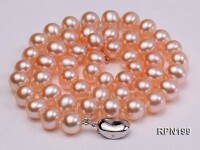 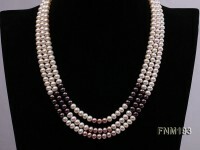 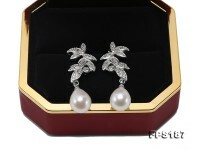 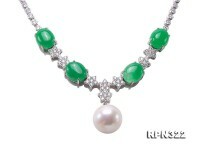 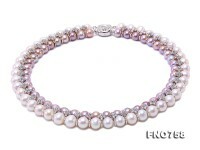 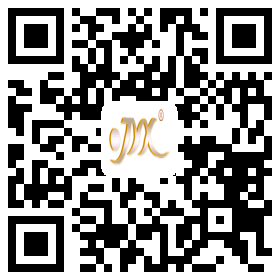 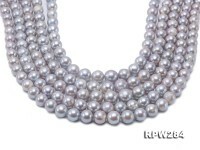 The pearls have smooth skin and good luster. 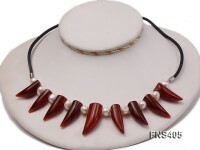 You can take this necklace as a casual daily wear or a formal evening wear. 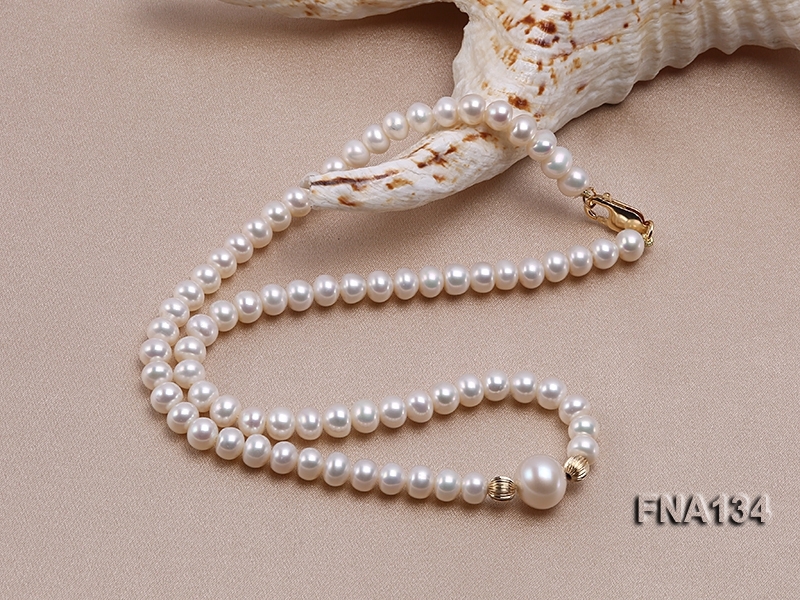 The natural properties and process of pearl formation define the unique beauty of each pearl. 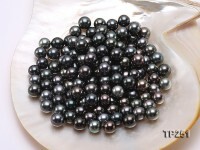 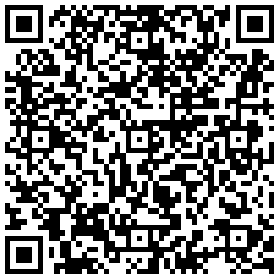 The image may show slight differences in surface, color, size, and shape.